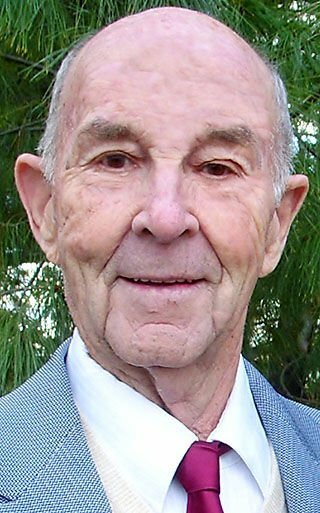 James passed away on March 28, 2019, at the age of 91 in Fort Myers, Florida. He was born to Ernest and Laura Klatt on November 28, 1927, in Menomonie, Wisconsin. He graduated from Menomonie High School in 1945. After High School he joined the U S Army and spent time in Japan after his basic training. When the Korean War broke out he was called back in and was stationed in Camp Carson, Colorado. After leaving the service he married Clarice Holzhueter in November 1951. He worked in three different Banks and retired as Cashier and Loan Officer. He and his wife owned the Norge Village Dry Cleaners and Laundromat for several years. James also built many new homes and being an electrician, he wired many homes and farms. They started spending their winters in Fort Myers, Florida in 1976. His wife Clarice passed away in 2008 and he married Joyce Homer Newton in 2012. He is survived by his wife Joyce, daughter Marsha (Bill) Biggs, Grand children Kerry (Donna) Bartos, Pamela Bartos, Anita Bartos, son-in-law Richard Bartos and 3 great grandchildren, Conner Bartos, Austin & Riley Sabot and sister-in-law Ethel Frank. He was preceded in death by his parents, Laura and Ernest, wife Clarice and daughter Diane (Klatt) Bartos.